In the digital economy, working smartly with consumers in real-time creates the ability to create business models and drive growth. Enterprises need to become real-time. Anyone who has used Netflix to watch a movie or used Uber to hail a ride knows how simple, time efficient, inexpensive and seamless it is to do either. Chances are that most users of Netflix and Uber would never again use a physical video store or a taxi service unless they did not have a choice. Thus it should not come as a surprise that within a short span of a few years, these companies have acquired millions of delighted customers using their products (which are just apps) while developing market capitalizations of tens of billions of dollars. 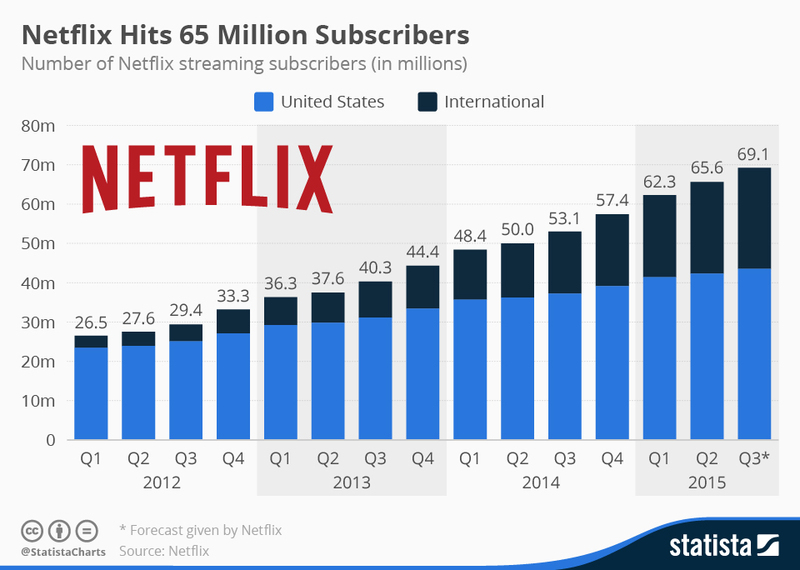 As of early 2016, Netflix had about 60 million subscribers and had found significant success in producing its own content, thus continuing to grab market share from established players like NBC, Fox, and CBS. Most Netflix customers opt to ditch cable and are choosing to stream content in real-time across a variety of devices. Uber is nothing short of a game-changer in the ride-sharing business — not just in busy cities but also in underserved suburban areas. Uber services save plenty of time and money in enabling riders to hail cabs. In congested metro areas, Uber also provides near instantaneous rides for a premium which motivates more drivers to service riders. 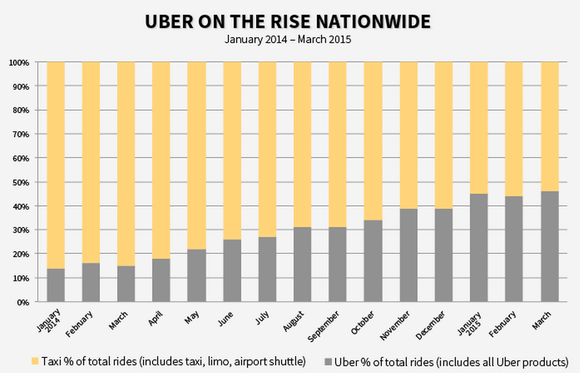 As someone who has used Uber in almost every continent in the world, it comes as no surprise to me that as of 2016, Uber dominates in terms of market coverage, operating in. There's a common theme in both ordering a cab using Uber and viewing a movie on Netflix. Both services are available at the click of a button, they’re lightning quick, and they constantly build on their understanding of your tastes, ratings, and preferences. In short, they are real-time products. Why is real-time such a powerful business capability? In the digital economy, the ability to interact intelligently with consumers in real-time is what makes possible the ability to create new business models and to drive growth in existing lines of business. 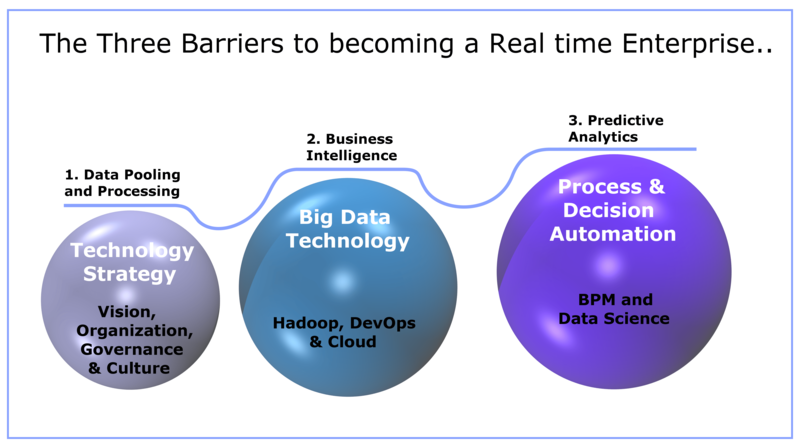 What underpins a real-time enterprise are three critical factors or foundational capabilities as shown in the below illustration. For any enterprise to be considered real-time, the presence of these three components is what decides the pace of consumer adoption. Real-time capabilities are part business innovation and part technology. First and foremost, business groups must be able to define a vision for where they would like their products and services to be able to do to acquire younger and more dynamic consumers. As companies adopt new business models, the technologies that support them must also change along with the teams that deliver them. IT departments have to move to more of a service model while delivering Agile platforms and technology architectures for business lines to develop products around. It needs to be kept in mind that these new approaches should be incubated slowly and gradually. They must almost always be business- or use-case-driven at first. The second capability is an ability to break down data silos in an organization. Most organizations have no idea of what to do with all the data they generate. Sure, they use a fraction of it to perform business operations but beyond that most of this data is simply let go. As a consequence, they fail to view their customer as a dynamic yet unified entity. Thus, they have no idea as to how to market more products, estimate the risk being run on their behalf, etc. The ability to add is a growing emphasis on the importance of the role of the infrastructure within service orientation. As the common factor that is present throughout an organization, the networking infrastructure is potentially the ideal tool for breaking down the barriers that exist between the infrastructure, the applications and the business. Consequently, adding greater intelligence into the network is one way of achieving the levels of virtualization and automation that are necessary for a real-time operation. Real-time enterprises get the fact that using only Business Intelligence (BI) dashboards is largely passe. BI implementations base their insights on data that is typically stale (even by days). BI operates in a highly siloed manner based on long cycles of data extraction, transformation, indexing etc. However, if products are to be delivered over mobile and other non-traditional channels, then BI is ineffective at providing just in time analytics that can drive an understanding of a dynamic consumers wants and needs. Real-time enterprise demands that workers at many levels ranging from a line of business managers to executives have fresh, high-quality, and actionable information on which they can base complex yet high-quality business decisions. These insights are only enabled by data science and business automation. When deployed strategically, these techniques can scale to enormous volumes of data and help reason over them reducing manual costs. They can take on business problems that can’t be managed manually because of the huge amount of data that must be processed. Real-time enterprises do a lot of things right. They constantly experiment with creating new and existing business capabilities with a view to making them appealing to a rapidly changing clientele. They refine these using constant feedback loops and create cutting edge technology stacks that dominate the competitive landscape. Enterprises need to make the move to becoming real-time. Neither Netflix nor Uber are sitting on their laurels. Netflix (which discontinued mail-in DVDs and moved to an online-only model a few years ago) continues to expand globally betting that the convenience of the internet will eventually turn it into a major content producer. Uber is prototyping self-driving cars in Pittsburgh and intends to roll out its own fleet of self-driving vehicles, thus replacing its current 1.5 million drivers and also beginning a food delivery business around urban centers eventually. Sure, the ordinary organization is no Netflix or Uber and when a journey such as the one to real-time capabilities is embarked on, things can and will go wrong in this process. However, the cost of continuing with business as usual can be incalculable over the next few years. There is always a startup or a competitor that wants to deliver what you do at much lower cost and at a lightning fast clip. Just ask Blockbuster and the local taxi cab company.